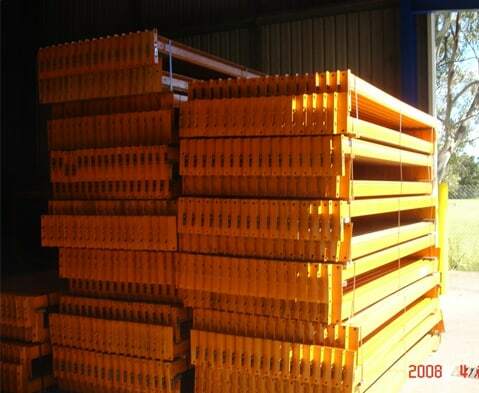 Please review the below images to help identify your racking. 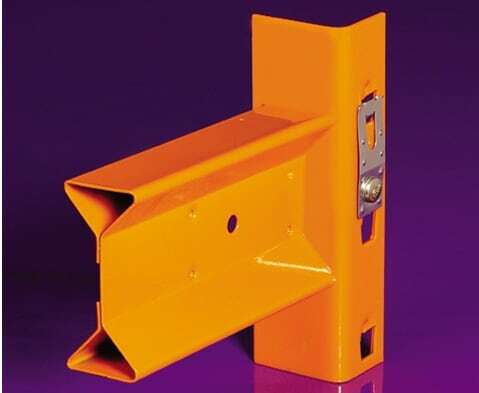 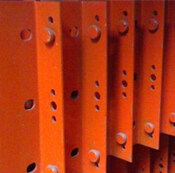 We also have a Racking Sizes page to assist in the measure of racking components. 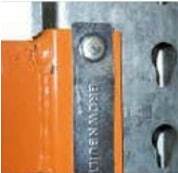 It is important to specify both correct rack type & correct rack sizes when purchase additional racking parts. 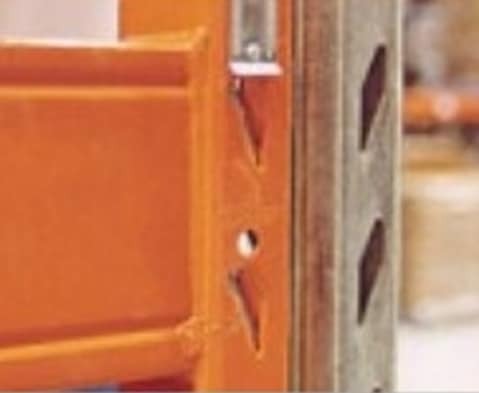 Dexion MK6 pallet racking frames can be identifed by the central grove down the front face of the upright. 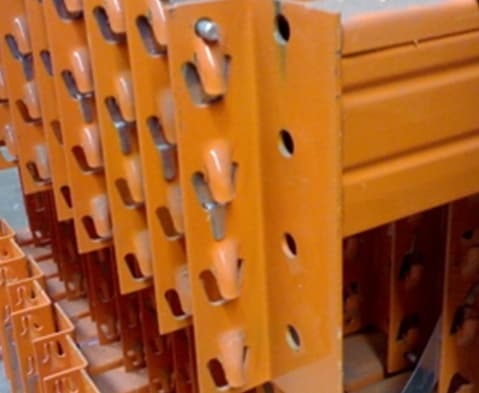 Dexion MK5 pallet racking frames can be identifed by a 90mm front face with no groove. 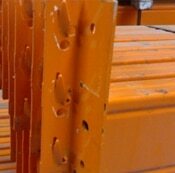 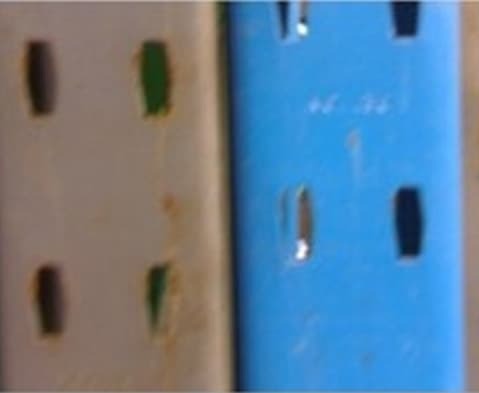 Dexion MK3 pallet racking frames can be identifed by a 80mm front face with no groove. 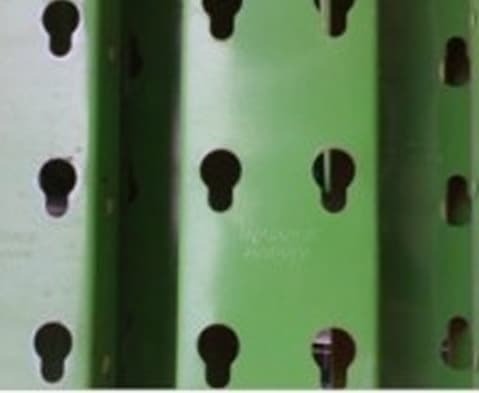 Colby racking. 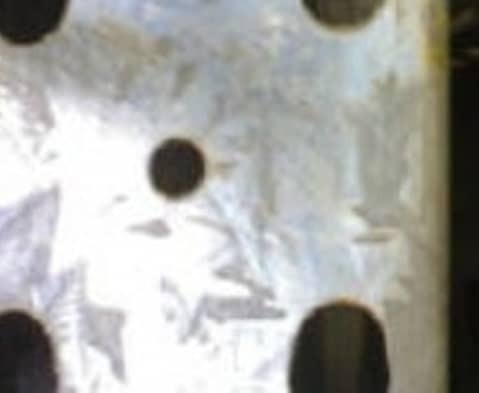 Stamp markings are printed on the inside of the upright.